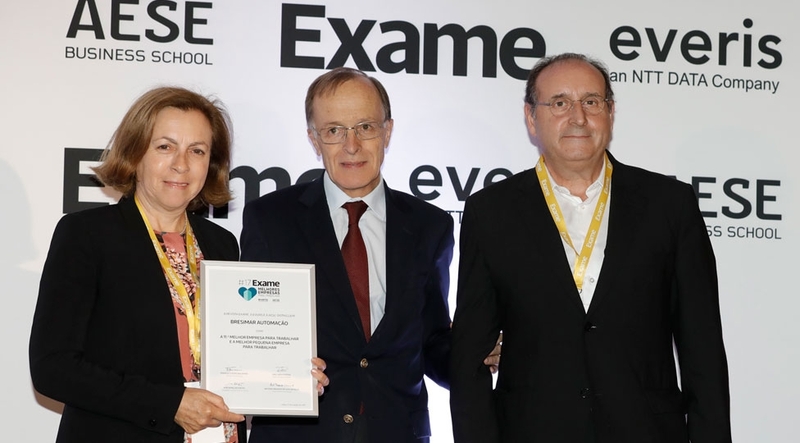 It is with great satisfaction that we announce our participation and position in the study, “Best Companies to Work For”, an initiative developed by EXAME magazine, in partnership with Everis consultancy group and AESE Business School. This study aims to distinguish those organisations that, having a good organisational climate, stand out for their responsible attitude towards their employees and society. 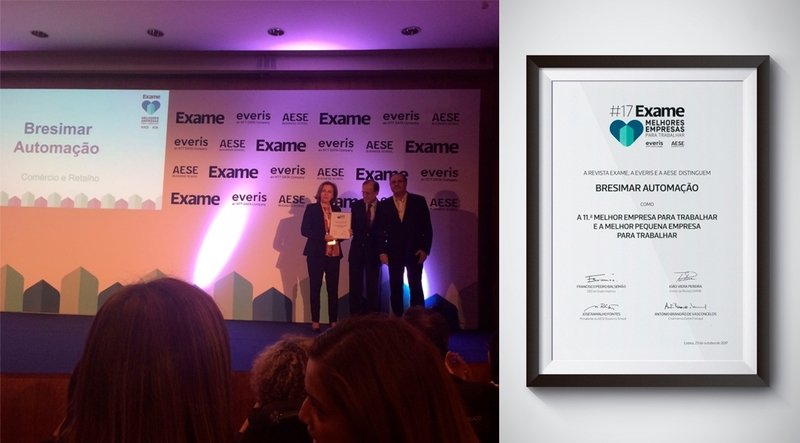 In this year's edition, Bresimar Automação won a rewarding 11th place and 1st place in the Top 3 Small Businesses, in a universe of 100 entities, being part, for the fifth consecutive year, of the top 25 Best Companies to Work For. This study consolidates the message that Bresimar Automação has followed since its establishment, namely that of a company that values Human Resources and wants them to feel that they are part of a "family". We know that happy and motivated employees produce better results and, for this reason, we highlight the various initiatives carried out by the Company, which provides health insurance and continuous training to all its employees, food/social spaces and food in all buildings, as well as promotes wellness activities with employees (e.g., gymnastics) and occasional team building activities. This distinction is seen as a bonus and an incentive to continue the good work that has been developed so far.